Just as diet can have a positive or negative impact on heart, brain and bone health, your colon's overall health can be affected by what you eat. The colon is a crucial part of the digestive system, and many different conditions can cause it to work improperly. 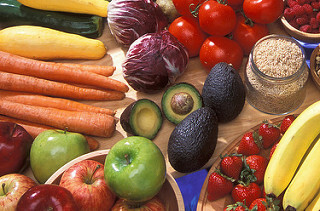 A healthy diet can help protect against colon disorders. Colon Hygiene Institute would like to offer some do's and don’ts for a colon friendly diet in Las Vegas. Limit red meat consumption and steer clear of processed meats - The risk of colon cancer increases by 15 to 20 percent if you consume 100 grams of red meat (the equivalent of a small hamburger) or 50 grams (equivalent of one hot dog) of processed meats, like sausage, bacon or hotdogs, per day. You can still have a little bit of red meat — about two four-ounce servings of red meat per week, however, it is best to limit processed meats to a special treat now and then because they have other components, such as preservatives, that may cause cancer. Hold the sugar - Studies have found that people with ulcerative colitis and Crohn's disease often have diets high in sugar and low in fiber. While sugar has not been directly associated with the progression of colon cancer, foods high in sugar are often high in calories and can lead to weight gain and obesity. Up your fiber - Eating a high-fiber diet is good for overall intestinal and colon health. The best way to add fiber into your diet is through fiber-rich fruits and vegetables, such as raspberries, pears, apples, bananas, oranges, cooked artichoke, peas, broccoli and corn. Whole grains and legumes are also good sources of fiber. Fiber aids colon health by helping to keep you regular and prevent constipation. This may lower your risk of developing hemorrhoids and small pouches in your colon that can lead to diverticular disease. Drink your milk - Recent studies have found that calcium and vitamin D may be associated with a decreased risk of colorectal cancer. Both men and women should make sure to get their recommended daily dose of calcium: depending on age, that is 1,000 milligrams to 1,300 milligrams a day (three to four eight-ounce glasses of low-fat or fat-free milk). Other dietary sources of calcium include dark leafy greens, such as spinach, kale and collard greens. Choose grains wisely - Whole grains are foods that contain all their essential parts and naturally occurring nutrients. It is recommended that all adults eat at least half of their daily grains as whole grains, about three to five servings. Some readily available whole grains include barley, quinoa, whole wheat flour, wild and brown rice and oatmeal. These foods contain more colon-friendly vitamins, minerals, fiber, essential fatty acids, antioxidants and phytochemicals (natural compounds in plants that have a beneficial effect on the body) than their refined grain counterparts, such as white flour and white rice. Another method of maintaining colon health is colon hydrotherapy. Colon hydrotherapy is a safe, effective method of removing waste from the large intestine, without the use of drugs. By introducing filtered and temperature regulated water into the colon, the waste is softened and loosened, resulting in evacuation through natural peristalsis. In our active, busy lives, we don’t always have the opportunity to eat colon healthy foods. Fortunately colon hydrotherapy is a way to keep your colon healthy by eliminating toxins from your body. You may find that after colon hydrotherapy you achieve a peaceful feeling of well being and ultimate clarity as well. There is nothing to lose except the old waste hidden deep within your colon. If you have questions or would like to schedule an appointment for colon cleansing in the Las Vegas area, call Colon Hygiene Institute at 702-870-0704.